Illuminating your home is essential for comfortably enjoying all of the household amenities once the sun goes down. From the foyer to the closet, home lighting is essential for the simplest of tasks and activities. While many people focus on the interior elements of their house, the exterior lighting is one area that often requires additional attention. Outdoor lighting is a valuable source for proudly showing the exterior of your residence. When done correctly, it can also bring great benefits in terms of safety and security. Anyone looking for modern flooring and lighting solutions for all of their residential and commercial needs can benefit from visiting the Shelby Design Center. Our flooring and lighting company in Shelby strives to provide everything you need, from an expansive inventory to expert advice. By joining forces with Carpet One and Lighting One, our lighting cooperative is able to get the job done better, faster, and more affordably. Our impressive lighting showroom holds a large variety of styles and options to perfectly fit your unique home. Today, we’ll begin to look at the world of outdoor lighting and a few tips that may prove useful in your future projects. When you’re ready, be sure to stop by our lighting store off of Van Dyke and Carriage Hill to get started! Direct lighting is used to highlight a specific area or feature. The goal here is to illuminate a key element while providing very little light to the surrounding areas. Putting a specific area on display makes this approach similar to accent lighting. Indirect lighting is useful for reflecting light off of exterior surfaces, creating a soft glow of light for a larger area. You can think of this as ambient lighting, where it is key to provide a gentle glow without overpowering the area. Be mindful of your light placement. Improper installations can result in unwelcome glares, blinding guests and washing out your beautiful landscaping. Proper lighting locations. We cannot stress enough the importance of checking where your lighting points at night. Unless you have a specific need for landscape lighting, be sure to minimize the overall amount of fixtures on your property. If two lights overlap, try separating the light areas to reduce the overall brightness. Generally, the lighting should work to reflect off of surfaces, illuminating the area without being too strong. Once done, be sure to occasionally check your property at night to ensure that all lighting fixtures are in the proper place and not impeding the beauty of your landscape. Color and wattage ratings. The rise of LED bulbs has created a flood of blue lights that, while efficient and bright, create an unnatural feel to the light on your property. Our retail lighting experts are here to offer knowledgeable suggestions to find the perfect shade of bulb for your yard. Another useful tactic is to lower the wattage on your bulbs if standard units are being used. Less watts equates to less light intensity (and less overall cost!). Reflective fixtures. Utilizing a collection of bright, unshielded lights can quickly lead to too much brightness. Add-ons such as bulb shields are useful tools for controlling the illumination and intensity of your outdoor lighting. You can customize how much light escapes these tools to customize the amount of light present on your property. Light control measures. Those who want to take their exterior lighting to the next level can benefit from a range of tools that serve to control your lights. Motion sensors, for example, only activate a light fixture when movement crosses the fixture’s sensor area. This helps to minimize the illumination on your property, as well as saves on bills. Dimmers, timers, and control products all help to give you more control on where and when lighting occurs outside. There are many aspects that play into how your home’s exterior lighting illuminates the property, providing security and safety in the process. 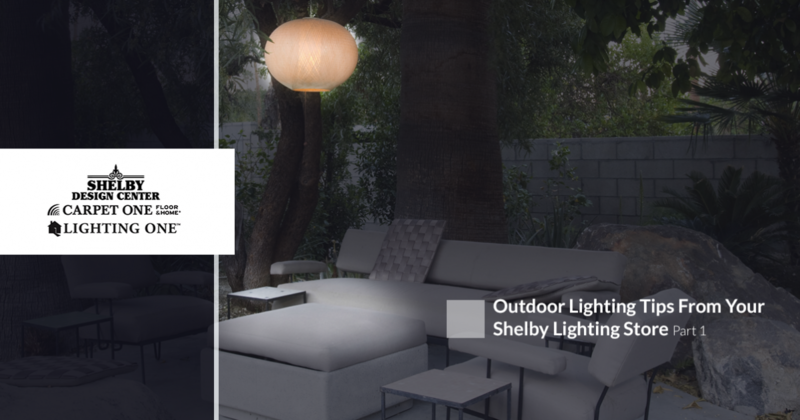 Next time, we’ll discuss more outdoor lighting tips, including the value of where to place each fixture. Anyone in need of top-notch lighting products and solutions in Michigan can benefit from visiting the Shelby Design Center. Our lighting company in Shelby proudly provides the expansive inventory and expertise needed to optimize your home renovations. 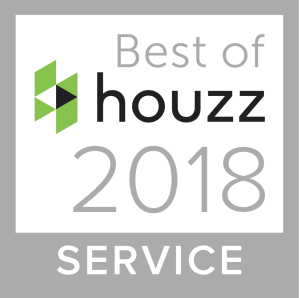 For more than two decades, our experts have worked with our 20,000 square foot lighting showroom to help customers with honesty and integrity in all pursuits. Contact us today to learn more or stop by our Shelby store to get started!